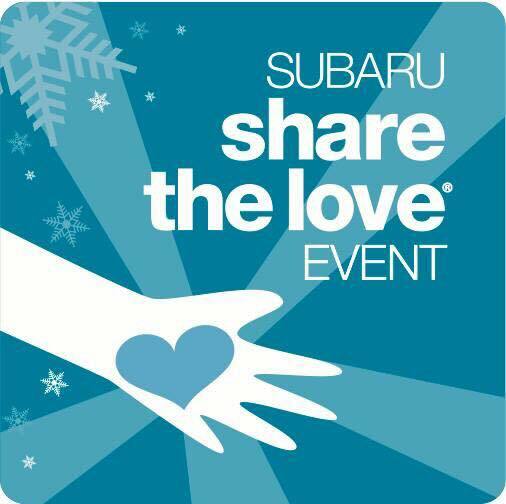 Stop by for the Subaru Share The Love Open House! Take a break on Tuesday, December 19th from 3 – 6pm and let Reining Liberty Ranch and Meals on Wheels…Put a little Love in your Heart. Spread the word! Serra Subaru of Traverse City, through Subaru’s annual Share the Love Event, has selected Reining Liberty Ranch as their local non-profit charity selection. Subaru of America, Inc.. also partnered with several national non-profits, including Meals on Wheels America, which in turn assists our local Meals on Wheels of Northwest Michigan program. – Learn about Serra Subaru’s Share The Love Event: Through January 2nd, for every new Subaru that is bought or leased, Subaru will donate $250 on the customer’s behalf, to one of five participating charities of the customer’s choice, including Reining Liberty Ranch and Meals on Wheels America (Meals on Wheels of NMCAA will receive a share of the Michigan revenue).